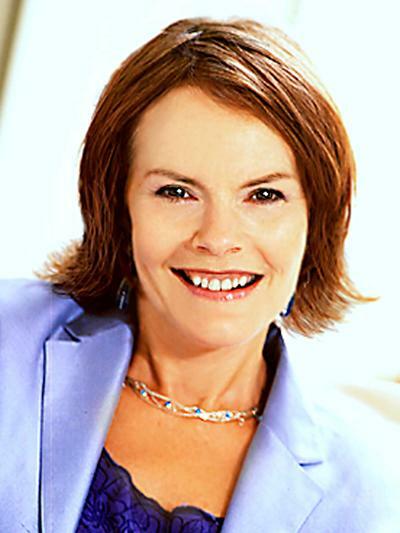 Professor Helen Simons is Emeritus Professor within Southampton Education School at the University of Southampton. Helen Simons is Professor Emeritus of Education and Evaluation at the University of Southampton. She specializes in programme, policy and institutional evaluation, qualitative methodologies, democratic evaluation and ethics across all sectors of education and the practice professions. In 2001 she was elected as an academician of the Academy of Social Sciences, UK, in 2006 became a fellow of the Royal Society of Arts (FRSA) and, in 2009, was appointed an orator for the University of Southampton. Qualifications & previous positions: Initially a trained teacher and psychologist, she received her BA degree (English literature and Psychology) and Diploma of Education from the University of Melbourne, Victoria, Australia and her PhD in Applied Educational Research from the University of East Anglia, UK. Her research positions have included Senior Research Associate, University of East Anglia, UK and Senior Research Fellow, the Nuffield foundation, London. From 1977 - 1991 she was on the staff of the University of London Institute of Education first as lecturer, then senior lecturer in curriculum studies. She became Reader of the University of London in 1989 and in 1992 was appointed to a professorship in the school of education at the University of Southampton. Evaluation and Consultancy: Professor Simons has conducted many external evaluations of innovatory programmes funded by both government and non-government agencies and directed numerous evaluation-training workshops - on case study evaluation, programme evaluation, democratic evaluation and institutional self-evaluation - both in this country and overseas. The countries in which she has worked include Australia, Canada, China, Denmark, Iceland, India, Ireland, Norway, New Zealand, Malaysia, Poland, Portugal, Singapore, Spain and the United States. She is also an experienced consultant to ministries and organizations on setting up evaluation systems to monitor their policies and practices and to international agencies, such as the OECD and UNESCO, advising on curriculum and evaluation projects. For five years with European Commission funding, she directed a programme of evaluation capacity building and training in Poland and in 2007 was part of a team sponsored by Unicef to conduct evaluation training and capacity building in South Asia. Further details on Evaluation, Ethics and other research interests are set out under the Research tab. Creative arts: Helen has always been a passionate follower of the arts and, following retraining some years ago, introduced the use of poetry, narrative, image, metaphor and movement into her teaching and course evaluations. Currently researching the role of the creative arts in evaluation methodology, she also finds time to explore her own creativity through music, poetry and dance, as well as yoga and meditation. Community Service: For ten years she was a trustee of Charities Evaluation Services, an agency dedicated to promoting quality systems, organisational development and self-evaluation in voluntary organizations and the Development School, an NGO specialising in social development for Central and Eastern European Countries. Currently she is trustee of Artswork, a youth arts agency committed to developing creative opportunities for young people aged 12-35. Helen Simons' research in the field of evaluation over thirty years has focused on democratic processes, ethics, programme, policy and institutional self-evaluation, case study, and qualitative methodologies. Her evaluation practices embody humanistic methodologies and participatory principles that give autonomy and skills to organisations to continue their own development. She has written widely on the theory and practice of evaluation, case study methodology and the ethics and politics of research, publishing several books and over 90 research reports and academic papers. Her book Getting to Know Schools in a Democracy: the politics and process of evaluation (Lewes: the Falmer Press, 1987) was awarded an international book prize for the 'most outstanding contribution to the social purposes of education'. Her most recent book, Case Study Research in Practice, published by Sage (2009), makes explicit the theory and practice of case study for researchers new to this methodology. For further readings on case study research and her other research interests see citing of 2010 major key note paper on ‘Democratic Evaluation: Theory and Practice’ for Virtual Conference at the University of Witwatersrand South Africa. In furthering her research interest in ethics, Helen has played a major role in the national policy context for evaluation and educational research, particularly in the generation of professional ethical guidelines and standards. As a member of the Executive Councils of the British Educational Research Association and the UK Evaluation Society (UKES) (of which she is a past-President) and ethics convenor, she co-authored the first edition of each society’s ethical guidelines. Currently, for UKES, she is exploring the role of competencies in improving evaluation practice and the relationship of these with similar developments in wider Europe and the development world. Evaluation Consultant (2010) to the New Zealand School Review Office on Internal and External School Review. Evaluation Consultant (2009-10) to StoryLinks, a research project exploring the effects of parent teacher and pupil co-construction of stories with SEN children. Evaluation Consultant (2009-10) to the Larc Project, a project in North Liverpool supporting the self-evaluation of nine arts organizations. Evaluation consultant (2009) to Unesco on Monitoring and Evaluation in Partnerships in Education Programme. Evaluation Consultant (2007-8) to the Self–Evaluation of the Double Impact Project which aimed to engage vulnerable people in Nottingham with their creativity and arts in the city. Evaluation Consultant (2007) to Unicef on Evaluation training in South Asia. Evaluation consultant (2006-7) to the Rise Phoenix multi-faith project, which worked with primary school children and artists (sculptors and painters) to explore the common values between different faiths, through creating a sculpture trail and mask procession. Evaluation Consultant and Academic Adviser (2007) to the Somerset Jumps Project, a partnership group of music organisations in Somerset to provide professional development services to musicians working with young people. Simons, H. (2015). Democratic evaluation: Its power and relevance in today’s world. The Evaluator, 1-8. Simons, H. (2006). Whose data is it anyway? Ethical issues in qualitative research. Malaysian Journal of Qualitative Research, 1(1). Arostegui, J. L., Stake, R., & Simons, H. (2004). Music education for the 21st century: epistemology and ontology as bases for student aesthetic education. Education Policy Analysis Archives, 12(54), 1-14. Simons, H., & Parry-Crooke, G. (2003). Guidelines for good practice in evaluation. The Evaluator, 11, 5-8. Simons, H., & Gipps, C. (1995). Improving conditions for educational research: dialogue with a funding body. Research Intelligence, 54. Simons, H. (2009). Case Study Research in Practice. London, GB: SAGE Publications. Simons, H., & Usher, R. (Eds.) (2000). Situated ethics in educational research. Abingdon, GB: Routledge. Simons, H., Bjorndal, I., & Tiller, R. (1990). School Evaluation in Norway. Oslo, NO: Upper Council for Secondary Education. Simons, H. (2015). Preface. In T. Greenhalgh, J. Russell, & S. Kushner (Eds. ), Case Study Evaluation: Past, Present and Future Challenges (pp. ix-xv). (Advances in Program Evaluation; Vol. 15). Bingley, GB: Emerald Group Publishing Limited. Simons, H. (2014). Case study research: in-depth understanding in context. In P. Leavy (Ed. ), The Oxford Handbook of Qualitative Research (pp. 455-470). (Oxford Library of Psychology). New York City, US: Oxford University Press. Simons, H. (2013). Enhancing the quality of education through school self-evaluation. In M. Lai, & S. Kushner (Eds. ), A Developmental and Negotiated Approach to School Self-Evaluation (pp. 1-18). (Advances in Program Evaluation; Vol. 14). Bingley, GB: Emerald Group Publishing. Simons, H. (2006). Ethics in evaluation. In I. F. Shaw, J. C. Greene, & M. M. Mark (Eds. ), The SAGE Handbook of Evaluation (pp. 213-232). London, GB: SAGE. Simons, H., & Piper, H. (2004). Ethical responsibility in social research. In B. Somekh, & C. Lewin (Eds. ), Research Methods in the Social Sciences (pp. 55-63). London, UK: SAGE. Simons, H. (2002). School self-evaluation in a democracy. In D. Nevo (Ed. ), School-Based Evaluation: an International Perspective (pp. 17-34). (Advances in Program Evaluation; Vol. 8). London, UK: Elsevier Science. Simons, H. (2000). Damned if you do, damned if you don't: ethical and political dilemmas in evaluation research. In H. Simons, & R. Usher (Eds. ), Situated Ethics in Educational Research (pp. 39-55). Abingdon, GB: Routledge. Clarke, J. B., Gobbi, M., & Simons, H. (1999). Evaluation case study of the Registration/Diploma nursing programme. In M. P. Treacy, & A. Hyde (Eds. ), Nursing Research: Design and Practice Dublin, Republic of Ireland: University College Dublin Press. Simons, H. (1998). Developing curriculum through school self evaluation. In L. E. Beyor, & M. W. Apple (Eds. ), The Curriculum: Problems, Politics, and Possibilities (Second Edition) (pp. 358-379). (Frontiers in Education). Albany, US: State University of New York (SUNY) Press. Simons, H. (1992). Towards professional schools: the state of the art. In T. Alvik, A. Indrebo, & L. Monsen (Eds. ), The Theory and Practice of School-based Evaluation: A Research Perspective Lillehammer, NO: Oppland College. Simons, H., & Greene, J. (2014). Against the odds but worth it: the value of democratic evaluation in contemporary society. 11th EES Biennial Conference, Evaluation for an Equitable Society, Ireland. Simons, H. (2014). Towards professionalization of evaluation: voluntary evaluator peer review. Joint DeGEval and SEVAL Evaluation Conference, Professionalisierung in und für Evaluationen, Switzerland. Jones, K., & Simons, H. (2000). The student experience of online mathematics enrichment. In T. Nakahara, & M. Koyama (Eds. ), Proceedings 24th Conference of the International Group for the Psychology of Mathematics Education (pp. 103-110). Hiroshima, Japan: PME. Simons, H. (1998). 'Give me an insight': Training and reporting in naturalistic evaluation. In R. Davis (Ed. ), Proceedings of the Stake Symposium on Educational Evaluation (pp. 144-153). Illinois, US: University of Illinois. Simons, H. (2012). United Kingdom Evaluation Society (UKES) Evaluation Capabilities Framework. Ware, GB: United Kingdom Evaluation Society (UKES). Kushner, S., Simons, H., James, D., Jones, K., & Yee, W. C. (2001). TTA school-based research consortium initiative, the evaluation, final report. Southampton, UK: University of the West of England & University of Southampton. Jones, K., & Simons, H. (1999). Online mathematics enrichment: an evaluation of the NRICH project. Southampton, GB: University of Southampton. Helen is currently teaching and conducting evaluation training in a number of countries overseas, in the MSc in Applied Research at the University of Vallodolid, Spain, for instance and at the University of Aaarhus, Denmark. For the past two years she has conducted intensive courses in case study research for the New Zealand Social Statistics Network and for the Australasian Evaluation Society and the European Evaluation Society, as well as teaching on the MA in Social Research and Evaluation at London Metropolitan University and the Executive course in Development Evaluation at Kings College, London.